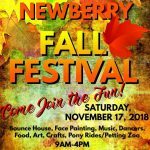 Newberry’s Main Street will be hosting the 12th Annual Newberry Fall Festival on Saturday, November 17th, located on Seaboard Dr in Downtown Newberry. 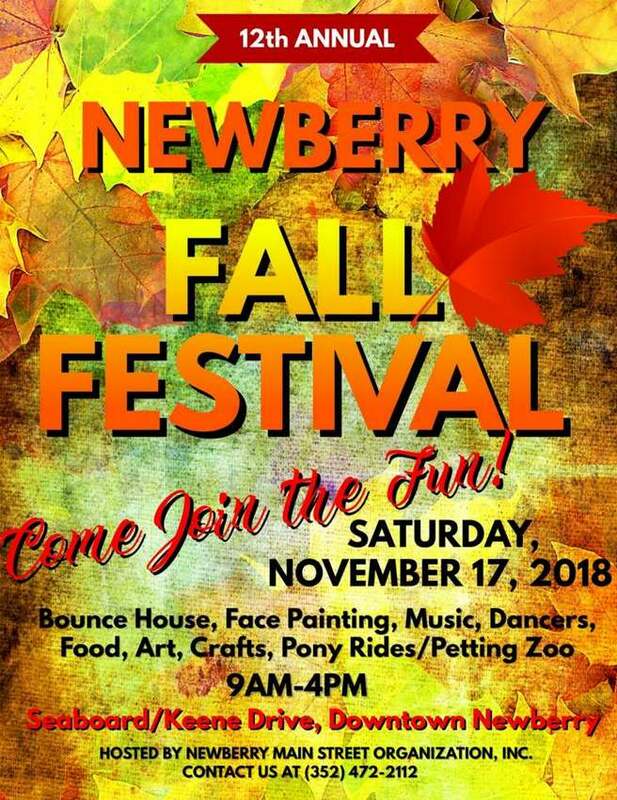 This family friendly festival features arts and crafts vendors, music and dancers, great food, beer & wine garden (open from noon – 7pm,) and lot’s of activities for the kids such as face painting, bounce house, pony rides, and petting zoo. Vendor application and information can be found at the Newberry Main Street Organization’s website.